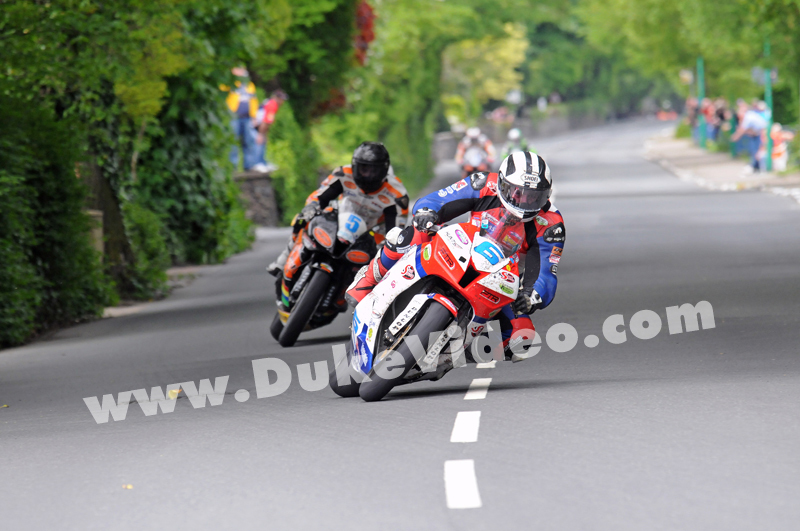 The rise of Michael Dunlop as a serious contender at the TT has been brief and spectacular. Before TT 2013 he'd already won three races: 2009 Supersport TT, 2011 Superstock TT, 2012 Supersport TT - he left the Isle of Man in June 2013 with another four wins to his name. The 24-year-old Ulster man took emphatic wins in the Superbike, Superstock and both Supersport races. In this photo by RIchard Radcliffe the hard-charging DUnlop has already passed nine-time winner Bruce Anstey and is well on his way to securing another Supersport win.